Membership includes access to all of the classes on our schedule. We often live stream our training on Facebook. Its this type of training which enables our students to be successful. Have a look! Our daily 7AM Classes has a dedicated group of regular students. Our shower makes it easy for you to train and get to school, work or family. 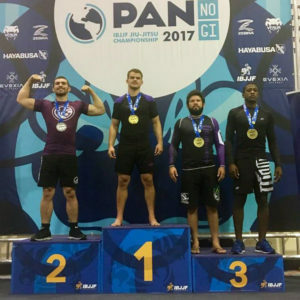 Check out this highlight of Steven Edwards 1st place performance at NABJJF on 12/2/17! Brea Jiu-Jitsu has several different kids classes taught by a black belt and former BOUSD elementary school teacher! 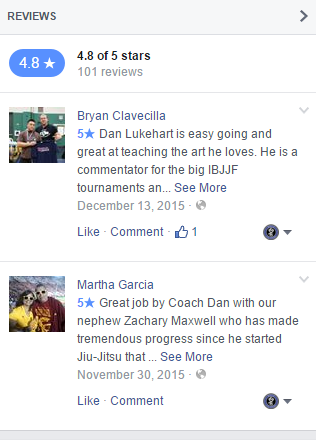 Dan “TrumpetDan” Lukehart is the owner and head instructor at Brea Jiu-Jitsu. 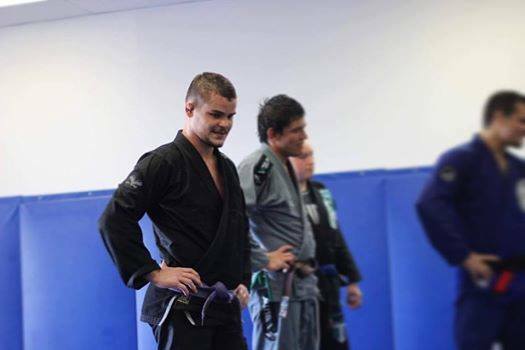 Dan has been training Jiu-Jitsu since January of 2006 and is a Black Belt under Beneil Dariush. 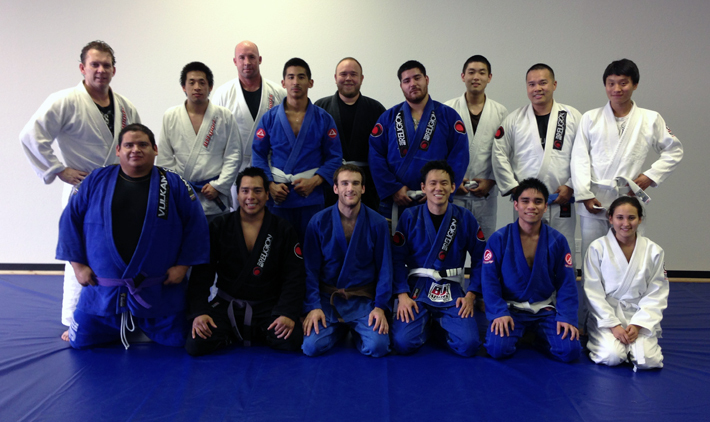 Brea Jiu-Jitsu is located at 379 W. Central Ave Brea, Ca 92821. Click the image above for a map and directions. 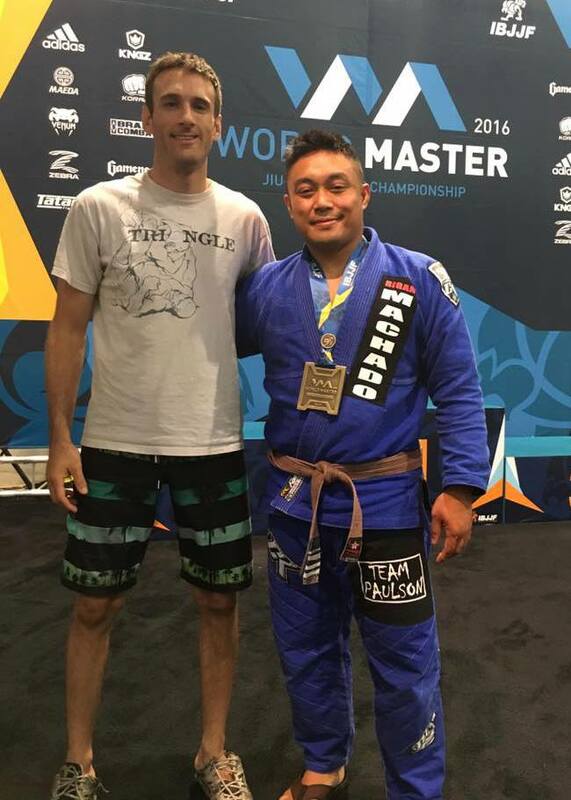 Check out Javier competing at masters worlds! 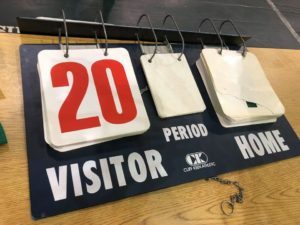 With 1 win, Matt took 3rd place in the masters 5 (50-54!) world championships. 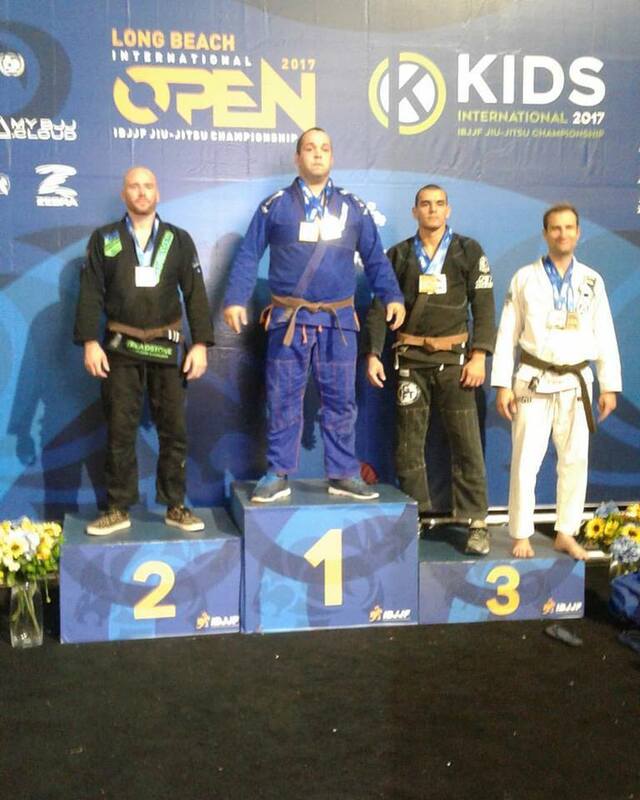 After Steveo took default gold in his masters 6 weight division (55+!) 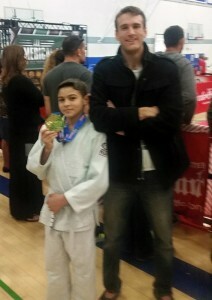 and with 1 win took silver in the absolute. 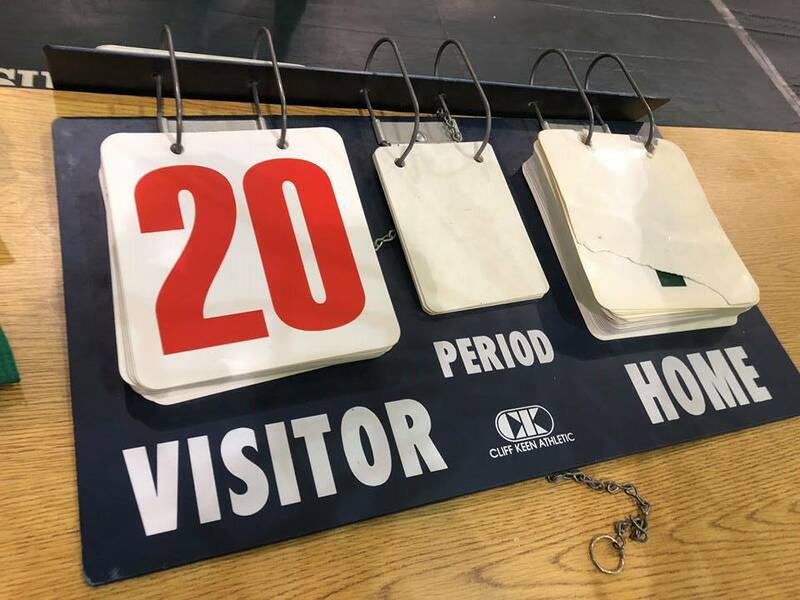 Though Joe didn’t place in the masters 4 (45-50) category this time, he trained very well for the tournament and is sure to rack up the medals in due time. 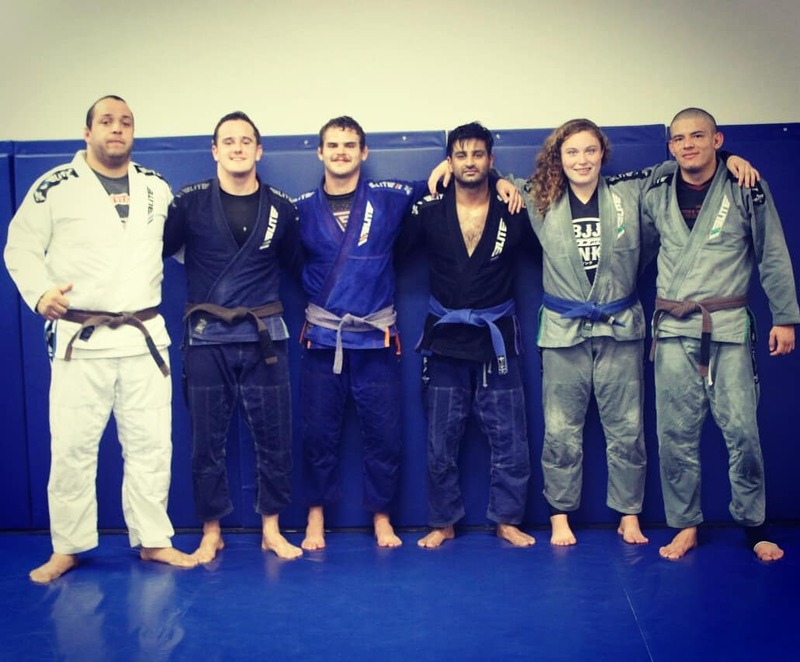 Steveo, Matt and Joe are an inspiration to everybody at Brea Jiu-Jitsu! 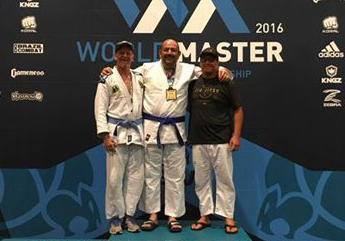 Bryan takes bronze at Masters World Championships! With 4 matches, Bryan Clavecilla just took a bronze at the IBJJF Masters World Championships in the brown belt masters 2 middle heavy division! 5 New Kids Classes Added; Band Program Added! 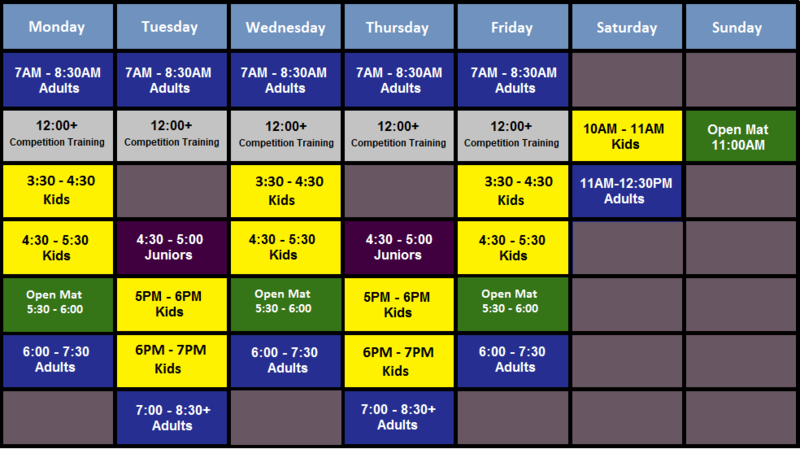 Check out our awesome new schedule which added a TON of new kids classes. We also opened up a beginning band program that is available to both our members and non members! 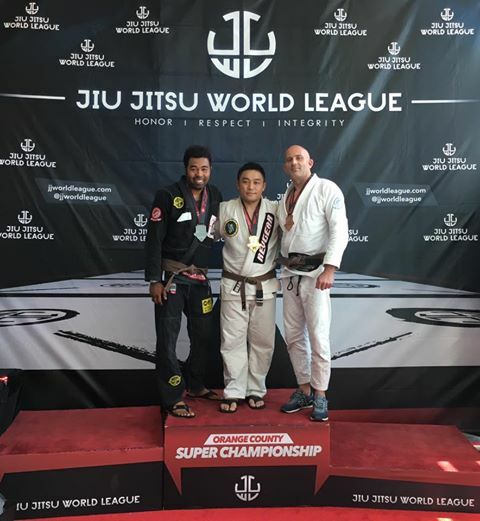 Bryan takes first place at this last weekends Jiu-Jitsu World League tournament. Way to go! Nolan Takes 1st at Pan Kids! 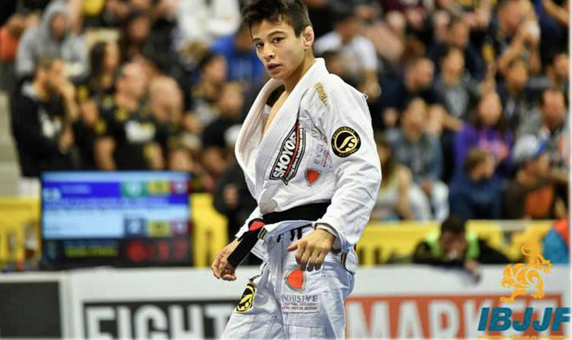 In his yellow belt debut, Nolan Stuart took 1st pace at the most prestigious kids tournament in the world – the IBJJF Pan Kids. 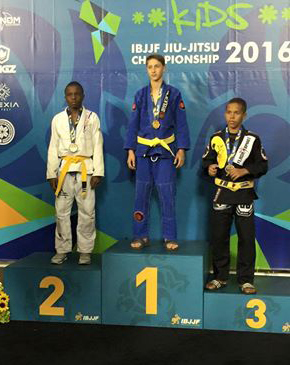 In his division were many athletes from top teams including competitors who had traveled from Brazil! In addition to being part of our kid’s Jiu Jitsu classes, kids competition team and adults classes, Nolan is part of our after school program. He gets a daily study session, music classes and science class. He plays mellophone and recently earned student of the month honors at Brea Junior High! 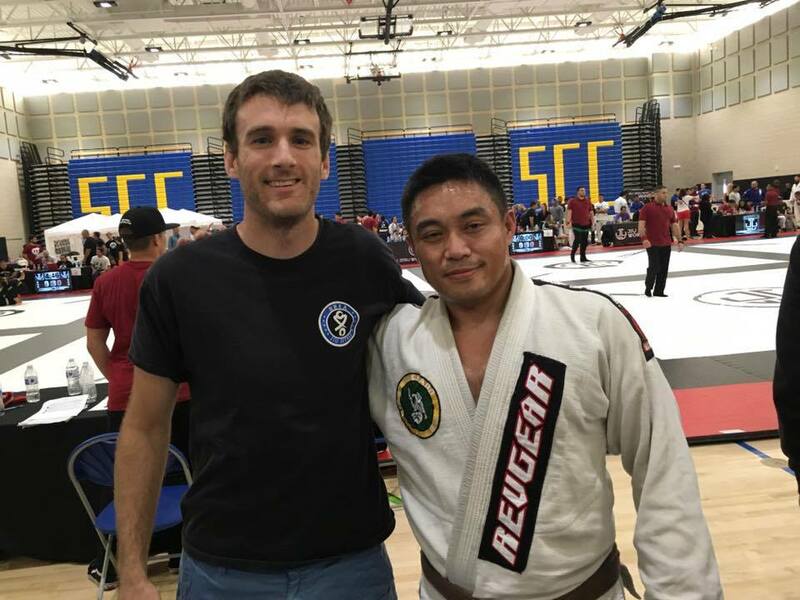 The least important thing Nolan has received at Brea Jiu-Jitsu is instruction on specific techniques. Vastly more important than technical instruction is a careful cultivation of a mentality which the pursuit of excellence is the norm and an atmosphere which fosters a love for the art. 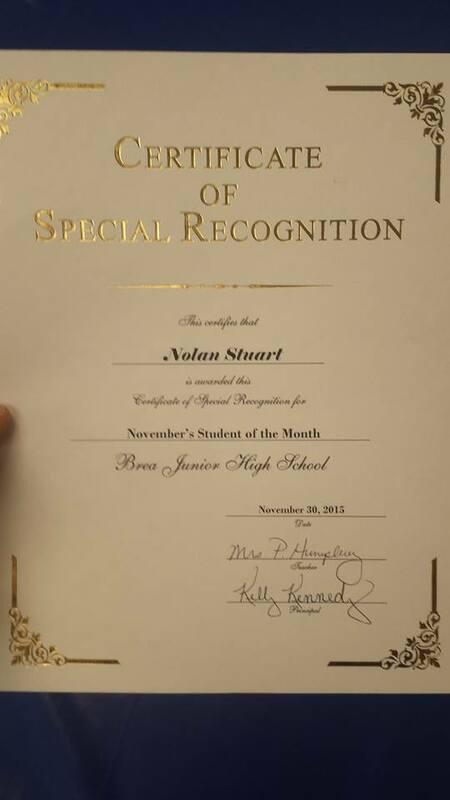 Nolan was one of our first students and he is reaping the reward of all of his hard work and dedication. Most of our kids choose not to compete, but we have the infrastructure and environment where the kids can excel if they so desire! Zach, Jenna, Lauren, Sarah and Sam take Gold! 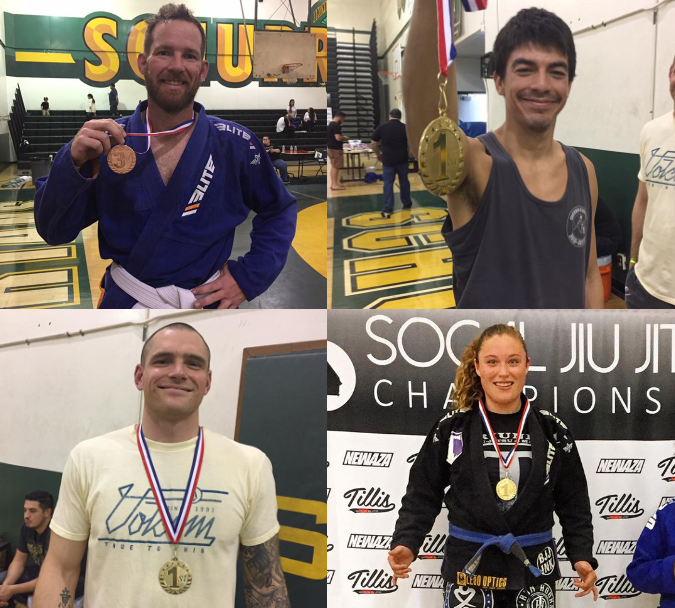 Zach, Lauren, Jenna (closeout) Sarah and Sam all took first at todays NABJJ All Americas tournament today! 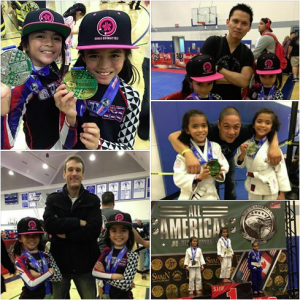 Great job to the Brea Jiu-Jitsu Kids Competition team! We have over 100 reviews on Facebook and maintain a 4.8 rating! 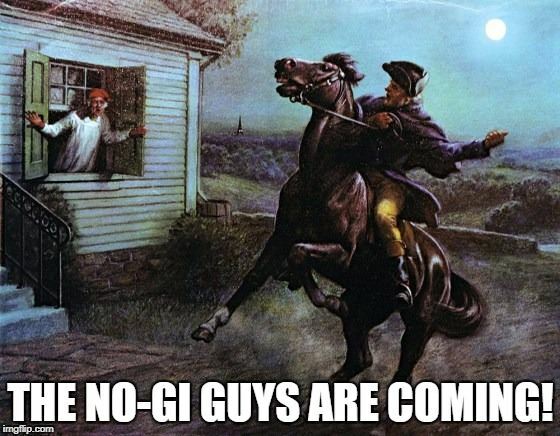 There will be no kids classes today 11/12/18. Adults classes are normal. We are in the process of getting a new phone number, so it may be a day or 2 while we are unable to be reached by phone. 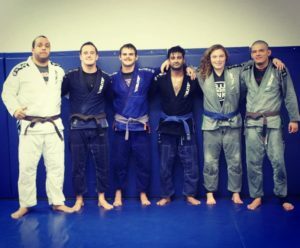 Feel free to email BreaJiuJitsu@Gmail.com or just drop on in to try a class! 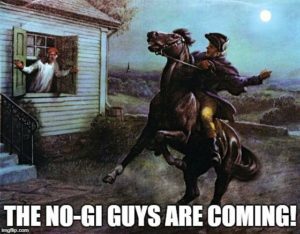 Thursday/Friday – AM Adults Regular Class, PM Adults Open Mat, No kids/juniors. Please take advantage of what is in our own backyard! Head on down to UCI and watch people from all over the world compete for one of the most coveted titles in BJJ! 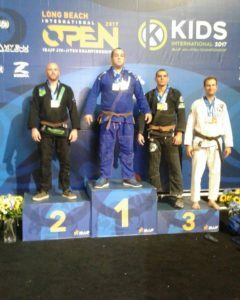 (IBJJF.org for details). Coach Dan and all of our adult students will be there most of the 4 days.